Apple announced this week that it’s hired Google’s Artificial Intelligence (AI) and Search Chief, John Giannandrea, to head the iPhone-maker’s machine learning and AI strategy moving forward, according to a report by The New York Times. 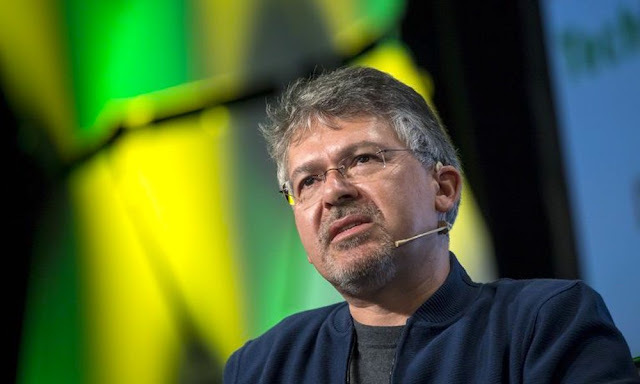 Mr. Giannandrea, who joined Google back in 2010 when the Mountain View, California search-giant acquired Metaweb (where he served as Chief Technical Officer), is revered for his contributions in helping Google integrate AI throughout its software/hardware products including Google search, Google Assistant, Gmail and more. A 53-year-old native of Scotland who’s known affectionately by colleagues as J.G., Mr. Giannandrea will be among Apple’s top 16 executives who report directly to Tim Cook. His presence on Apple’s team is considered a “victory” for the iPhone-maker as it tries — despite the obstacles and infighting stacked against it — to catch up with rivals like Amazon and Google, whose AI software platforms are largely considered to be years ahead of Apple’s own AI-driven platform, Siri. Siri has received a fair share of flak recently, especially amid Apple’s highly-publicized but inherently lackluster release of the Siri-only HomePod speaker. Many analysts in the tech industry consider Apple’s native voice-driven personal assistant to be “less effective than its counterparts,” including Amazon’s Alexa and Google’s own Google Assistant. “Engineers with A.I. expertise are some of the most sought-after people in Silicon Valley, with salaries sometimes exceeding eight figures,” NYT noted, adding that, by Tuesday morning it was clear that Giannandrea was never really a free agent in the first place, as Apple announced his acquisition less than 24-hours later. Although Apple has maintained a strongly immovable stance when it comes to protecting the privacy and security of those who use its devices like iPhone and online services like iCloud, which analysts have noted could put the company at a “disadvantage when building services using neural networks” — it’s clear that, given his successful experience in the A.I. field, Mr. Giannandrea joining Apple’s team will only serve to bolster the prospect of Siri becoming an even stronger and more capable AI platform in the months and years to come.